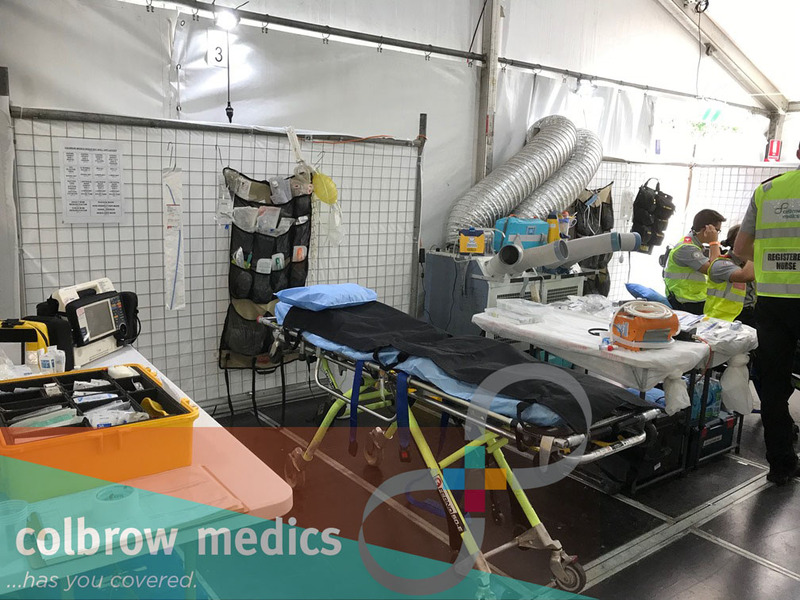 Colbrow Medics provided the event first aid and medical cover at a Polo tournament in rural Victoria. Polo is a high-risk sport and many riders sustain serious injuries from falls. 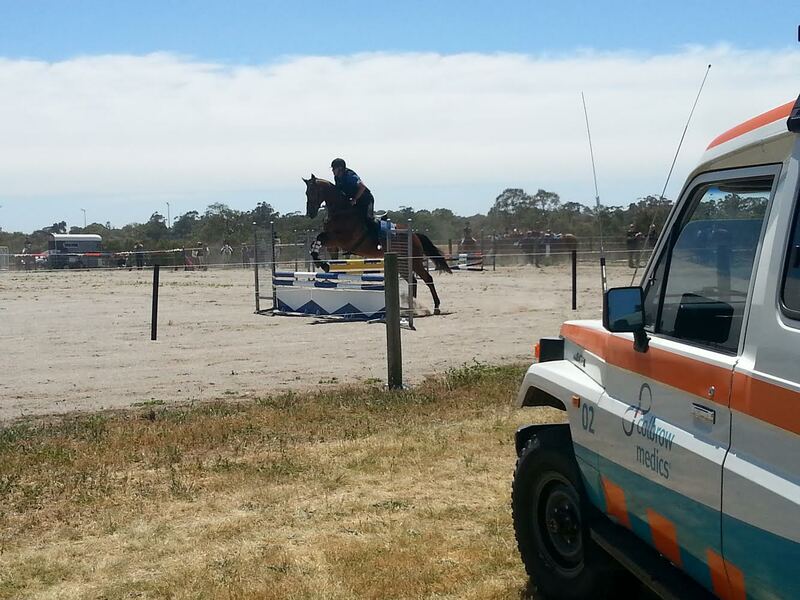 The Australian Polo Federation has strict policies on rider safety which require them to wear helmets and boots. They also recommend the presence of a paramedic to deal with injuries and medical emergencies, when they occur. 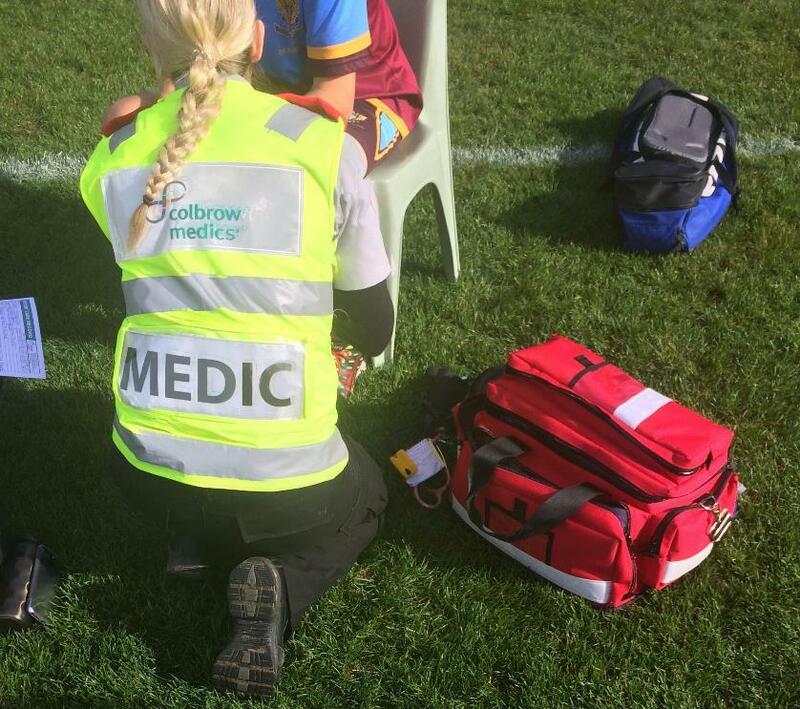 The paramedic on duty at this event was observing the players during a warm-up session when they witnessed a player get thrown forward by a fast moving horse and land on his head. These types of falls create high-energy axial loading on the spine and can result in compression fractures of the vertebrae. The player did not put his arms out to protect his fall. Fortunately, the paramedic had stationed himself in an area which gave him a full view of the incident, as it occurred. The paramedic proceeded quickly onto the field to assess the patient as soon as it was safe to do so. The horses were removed from the field to make the area safe for everyone. It is impertinent that the environment is made safe as it could lead to the medic getting injured, rendering them unable to provide care to the patient. When the paramedic arrived he observed the rider removing his helmet and moving around on the ground. The paramedic reassured the patient and advised him to stay still and try not to move until he was assessed. Due to the nature of this event a rapid trauma assessment was performed this is also known as a primary survey. A rapid trauma assessment is a quick procedure used in prehospital care to identify any major injuries which are likely cause death if not treated immediately. The acronym <C>AcBCDE is used in major trauma each letter represents a different process/stage. The patient denied any pain and stated he just feels a bit dazed and nauseous; he also stated he heard “crunch in his neck”. C-Circulation = Circulation was present with good skin colour. E- Expose&examine= Abdominal soft and non tender, pelvis stable and both femurs intact. Following on from the rapid trauma assessment a secondary survey was performed, this a more detailed physical head to toe exam examination which helps identify any unseen injuries. The patient’s neck and back were assessed for potential injury. The patient denied any neck pain initially, however, a few minutes later he developed pain to C1 and C2, which are located at the top of the neck. The patient was found to have a small abrasion on the bridge of his nose, he was complaining of a numbness sensation to the right side of his head and neck. The patient had good circulation, sensation and motor function to all his limbs and had no altered sensation anywhere else on his body. The patient’s vital signs were assessed and found to be within normal parameters. Due to the patient having some neurological signs (numbness) and neck pain after a fall, an ambulance was called. He was immobilised with the use of a cervical collar and spinal board. A cervical collar is a device used to keep a patients’ neck in neutral alignment and prevents them from moving their neck. The patient was transferred onto a spinal board with the help of the other riders and he was moved to a shaded area to await the ambulance. Whilst waiting for the ambulance the patient’s helmet was inspected for any damage, assessing helmets for damage can give information and clues on potential head injuries. In this case there was some damage to the helmet indicating that the patient hit the ground with significant force. The patient was offered pain relief but he declined and said the pain was only minor. The ambulance arrived shortly after and he was transferred to the local hospital for further assessment. In a worst case scenario the patient could have making his fractures unstable and caused permanent damage to his spinal cord by moving his neck. Spinal cord damage to C1 and C2 are known in the medical field as the worst type of spinal injury you can sustain as it can cause complete paralysis from the neck down leaving you with breathing problems that require support from a ventilator. These long-term disabilities can dramatically affect ones quality of life and lead to psychological problems too. 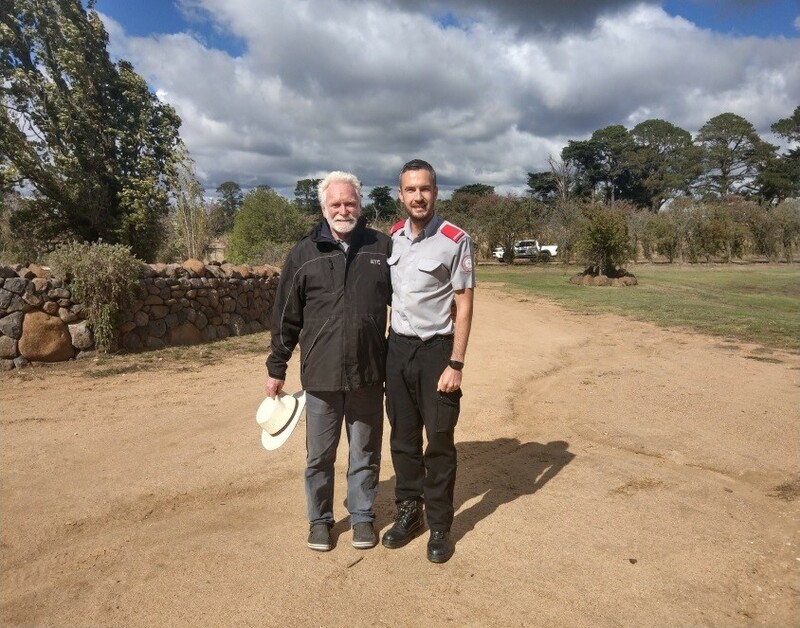 The paramedic who provided treatment to this patient returned to the same event and was pleasantly surprised to see the patient again, walking around unaided and back to his normal self. He no longer plays Polo and doesn’t remember much of the incident. After talking to the recovered-patient it was discovered that he was transferred by air from the local hospital to a major trauma centre in Melbourne due to fracturing his vertebrae, C1 and C2. Fortunately, he did not cause any damage to his spinal cord. He underwent an operation to stabilise the fractures and was fitting with a halo brace, he was informed by the doctors that he was very lucky to be alive. He was very grateful for the treatment provided to him.